Nay Restaurant & Lounge, the newest addition to the vibrant culinary offerings of the DIFC, opens at the Concourse level of Emirates Financial Towers to serve a harmonious fusion of authentic Lebanese cuisine with contemporary influences. Its name is derived from the Arabic word “nay”, a wind-blown musical instrument similar to a flute that originated in the Middle East almost 5,000 years ago. 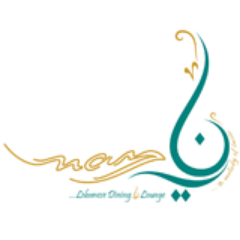 Nay Restaurant & Lounge is ready to offer a melody of flavors, entertainment and fine dining experiences daily from 12:30pm to 3:00am. Its exquisite menu of classic Lebanese dishes with a modern twist is created by award-winning Executive Chef Elie Georges Lteif who has more than 12 years of experience from various renowned restaurants and even catering for royal events in the region. The selection features hot and cold mezzeh, fresh raw meat, charcoal grills, seafood, salads, desserts and fresh juices and cocktails. The Fattet Kabab Bil Karaz, meatballs stuffed with cherries and served with yoghurt, roasted Arabic bread, eggplant and pine nuts; and fresh Hamour fillet with black olive mashed potatoes, sautéed vegetables and lemon butter sauce are a must-try. These mouthwatering dishes can be enjoyed inside the restaurant that boasts decors and colors paying homage to its Lebanese roots. Dark wood, patterned velvets and leathers in a distinct color palette of orange, red, maroon, blue and purple dominate the interiors while high ceilings and large windows give an open, light feeling. The Sky Nay provides an alternate atmosphere for those who opt to see the stunning outdoor view from this air-conditioned terrace enclosed by glass and wood. The entertainment line-up for Layally Nay from 11:00pm to 3:00am adds to Nay’s overall charm. During weekdays, a DJ and singers will serenade guests while live performances and dancers will brighten up the venue on weekends. Other cultural activities to support Middle Eastern arts, fashion and literature are also in the pipeline.